At virtually any major league game, the pregame scene is predictable and repeated. Mostly kids, and some adults, squeeze their way to the first base and third base gates attempting to secure a glimpse, and perhaps an autograph, of a player. In most cases, it’s any willing player, be it scrub or starter. The thrill is seeing someone up close who almost exclusively lives on your television or tablet. Many of us have had the opportunity to meet people we admire. Some of us have met professional athletes whom we root for, and perhaps many of you have even met players who might be considered stars. But there are select few individuals who have met players who transcend fandom — who are considered legends — and because of who they are as individuals and players, are considered by many to be heroes. Dennis “Andy” Anderson knows what that’s like. He commissioned a lithograph of an iconic photo of Ted Williams and presented it to him in person in almost 20 years ago, fulfilling a boyhood dream. That day, and the experiences that Williams gave him, provide a truly remarkable story. Anderson, 60, was raised in a working-class family in Salem, Ore., and attended South Salem High School. He grew up a Dodgers fan, as they had a Triple-A affiliate in his backyard. 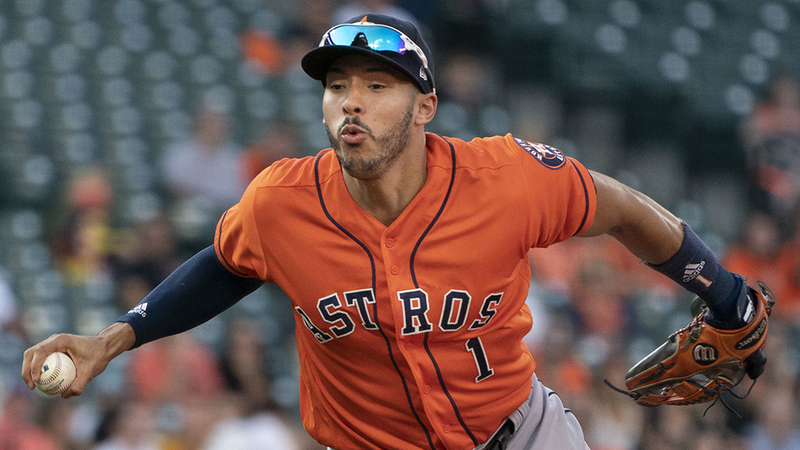 He recalls rooting for the likes of Sandy Koufax and Don Drysdale, but admits his favorite player as a youth was Willie Mays. Early family obligations thrust him into the workforce as a young man, and Anderson has spent most of his professional life in sales. He is known for his devotion to customers and cultivating lasting relationships with a unique knack for making personal connections with people, which has been a big part of his success. As you’ll see from his story, it’s this ability to connect with people — and maybe some unique tenacity — that made all of this possible. When Anderson recalls the story, he never stops smiling and exudes excitement like he just got off the plane from Williams’ home in Florida. I caught up with him — it wasn’t hard, since he is my father-in-law — and he was kind enough to answer some questions about his experience. Michael Barr: Andy, why did you want to meet Ted Williams? Were you specifically a Boston Red Sox fan or was it something else? Andy Anderson: At the age of 12, I was thrilled with baseball. My Uncle Vern would take me to watch the Salem Dodgers in Salem, Ore. and to the Portland Beavers. I received my first “real” baseball glove, and it was a Ted Williams glove, commemorating his 1966 induction into the Baseball Hall of Fame. I read books about him, and I related to his childhood. His mother was quite the leader in the Salvation Army, and my mother was the same. He would practice baseball until it was too dark to see, and I did the same. It was great how he played ball at Hoover High in San Diego and then played for the San Diego Padres of the Pacific Coast League. He was a West Coast kid, and so was I. I admired how he could hit a ball for average and power. I admired his baseball abilities but also his service during World War II and the Korean Conflict as a pilot. He was the John Wayne of baseball, and I loved him. So I became a Red Sox fan because he played for the Red Sox. MB: When did you first get the idea of the lithograph of that picture of Williams from 1938? AA: In 1995 I was working for HWI (now Do-it Best Corp.), and I called on lumber yards and hardware stores for the company. I was visiting Nelson Lumber in La Conner, Wash., waiting for the owner and noticed a vendor representative was showing an artwork of Brett Butler, and Brett had signed it with a smiley face. I introduced myself to the artist, Ken Wachtveitl, and he showed me the detail of this artwork. He was incredibly talented, and it was at that moment I thought I would love to have him produce a piece for me. We connected and became friends due to our mutual love of the game. I asked him if he would produce a Ted Williams piece, with the purpose of giving it to Ted Williams, and he said he would love to. Ken asked me what I wanted him to produce, and I said it would be great to have him draw Ted’s favorite photo of himself. I found the black and white and provided it to him. He started the sketching, and the time came to apply the colors, so I had to research the 1938 Minneapolis Millers jersey colors. The search was an incredible journey, and I enjoyed every minute of it. I first contacted The Hennepin History Museum in Minneapolis and explained my project, and they were happy to help. I purchased photos of Ted Williams and the team, but all black and white. The librarian referred me to Stew Thornley, the author of On To Nicollet. I had a great visit with him, but he was unable to provide the colors due to the team changing colors frequently. I was given other baseball player’s names to perhaps contact a player. Only two players were alive; one was Williams and the other Charlie Wagner. Since I was going to give this as a gift to Ted Williams, I could not go to him. I was able to find Charlie Wagner in my baseball player address book and then in the phone book. He and his wife lived in Reading, Pa. at the time. I called Charlie, introduced myself to him, and described the project. He was pleased, and we talked baseball for some time. At that time he was a scout, a pitching scout for the Red Sox. He went to his basement to open up the chest and tried to locate anything that would feature the colors. He called me back and said that he did not have the colors, but he knew the ball boy, and he would probably remember colors of that year. He called Peter Brophy, had a great visit over the phone, and obtained permission for me to call Peter directly. I thanked Charlie and appreciated him so much. I called Peter, and he said the ball cap was Kansas City Royal Blue, the inside of the cap was green, the jersey was gray, and the letter and piping was the same as the Boston Red Sox “red”. I thanked him and gave the colors to my artist to continue the project. MB: That’s quite a bit of effort to get the colors right! So did you have any assurances that you would be able to present this artwork to Ted Williams directly, or were you just operating on blind faith? AA: I had made a visit to the Ted Williams Museum and Hitters Hall of Fame in Hernando, Fla. It was there I met the museum director Buzz Hamon and shared with him what I was planning to do, and he said Ted would absolutely love that kind of gift. I thoroughly enjoyed this incredible museum, with a design of a baseball diamond, and as you walked around the diamond there were baseball glass cases on each side of the path featuring photos, game-used bats, artwork, baseballs, and trophies of Ted Williams. And it was in chronological order, with retirement near home plate. There was a huge statue of Williams in the center, where the pitcher’s mound would be located. 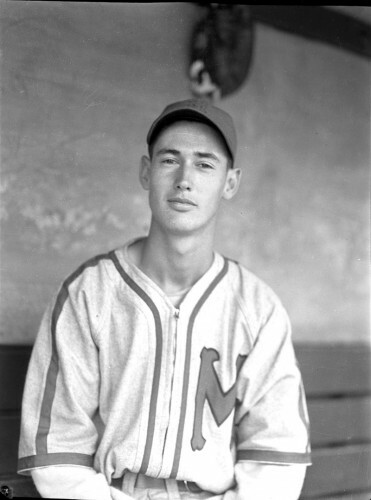 This trip helped me confirm Ted’s number on his 1938 Minneapolis Millers Jersey was 19. MB: How did you manage to facilitate delivering the artwork, and did you know you actually were going to meet Ted Williams? AA: After the artwork was completed, I had it matted and framed professionally. I contacted the museum director and asked if I could deliver this in person, along with my artist, and he connected me to John Henry Williams, Ted’s son. I contacted John Henry, and he wanted to see what kind of artwork the artist created so that he could approve this gift. Fortunately, Ken Wachtveitl has photographs of his other pieces of art, and I sent them to John Henry. John Henry called me with his approval. 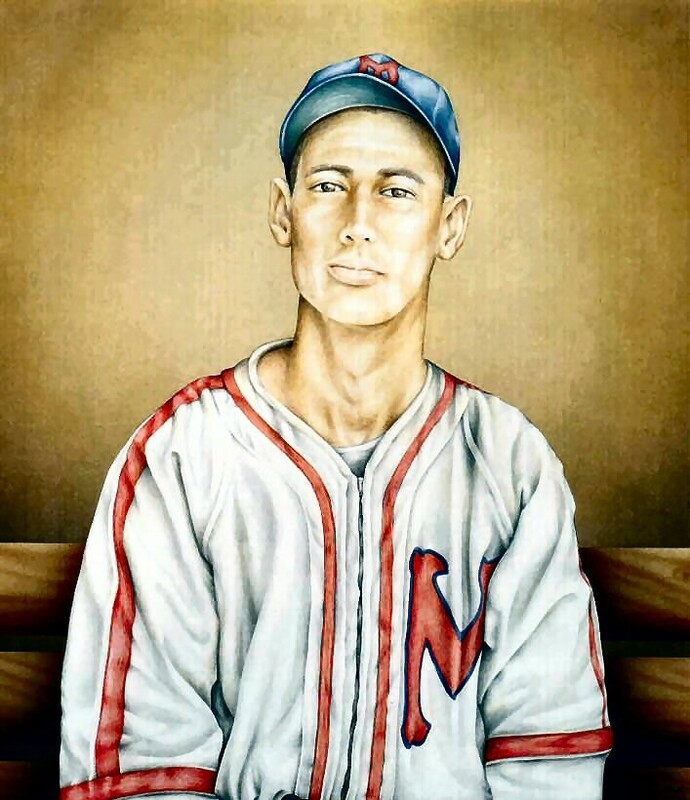 He then asked me what I wanted to do, and I explained the artist would produce Ted’s favorite photo of himself, and he asked me what that was, and I said it is Ted sitting in a dugout, looking into the camera, wearing his 1938 uniform. We set a date — with John Henry’s blessing — and traveled from Seattle to Hernando. We drove to Beverly Hills, Fla., and spent the night. The artwork was shipped ahead of us, and we were to meet the museum director in the morning. MB: So describe that day. He asked us to sit at the table and asked what possessed me to do this for him, and I explained how he had impacted my life. It was then that we shared the artwork with him and he said, “It looks just like me! It looks just like me!” That made me feel good, that he appreciated the work. It was time for his meeting with the individual from the Red Sox, and the museum director was trying to encourage us to leave. Ted told him and us to sit down, and we visited for two hours talking about baseball over beers, with a focus on Shoeless Joe Jackson. We learned then that Ted was working to get Shoeless Joe reinstated so he could be placed in the Hall of Fame. At the conclusion of our visit, we had our pictures taken with Ted. I was the last to leave, shaking his hand, and I said to him, “Ted there is an old saying, ‘Never meet your heroes,’ but with you it’s not true.” He looked me in the eye and said, “Keep the good thoughts, keep the good thoughts.” The museum director grabbed the artwork and headed out the door saying, “See you at the museum.” I wondered why he was taking the artwork out of Ted’s house, because I had given it to Ted. Ken and I took pictures of each other, outside of Ted’s house and at his gate, and then proceeded to the museum. We arrived at the museum, and what a sight — the entire life of Ted in photos and other memorabilia. There also were other players featured in the Hitters Hall of Fame adjoining the Ted Williams Museum. The museum director showed us a film, and at the conclusion he asked us to come to the first glass case on the first base side of the museum. He pointed into the case and said Ted liked the artwork so much, he was placing it into his museum, into the first glass case, and it stayed in that case until the museum moved from Hernando to the Tampa Bay Rays facility. I have not been back to see it, but the current museum director has confirmed it is featured within the museum. MB: Ted invited you back to the Hitters Hall of Fame, right? AA: Yes, my wife Karen and I were invited to the very next Hitters Hall of Fame banquet and induction ceremonies. We received an RSVP for the banquet with assigned seating and an invite to the induction the following morning. It was an unbelievable sight, as there were roped off areas where many people were there to get a glimpse of the invitees. It was well guarded and controlled by various law enforcement support. It was unreal to be able to be admitted through the walkway to the museum. People were asking, “Who is that player?” The special passes made that possible, and we entered the museum where several former baseball players were sipping beverages and walking through the museum and hitters hall of fame. MB: So did you get to rub elbows with some players? AA: Yes! Karen is very charismatic and had no problems meeting the players. She struck up a conversation with Duke Snider and asked me to get wine for her and The Duke. I joined in with that visit. We met Enos Slaughter, Johnny Pesky, Dom DiMaggio and Don Larsen, soaking in their conversations about baseball. We ran out of time to visit with others, as it was time to exit the museum. We then stepped through a walkway to a large tent where seating arrangements were made for us to enjoy a wonderful dinner and visit with military dignitaries at our table. Buzz Hamon placed our table next to the Ted Williams and family table. What an incredible honor. The food and conversation were great, and the entertainment was awesome, an incredible continuation of a dream. And come to think of it, actually not only did they induct great hitters of the past, they honored current players each year. Ted also honored pitchers of the past on the “Wall of Great Achievement” at the museum. The likes of Bob Feller, Johnny Vander Meer, Larsen, Warren Spahn were featured with wonderful signed lithographs, and I purchased them every year. The following morning we attended the induction ceremony in the same tent, and it was open to the public. It was a great ceremony every year to meet the latest inductees. We were asked by the museum director if we would transport Don Larsen to the airport, and of course I jumped at it. It was an incredible drive, and Larsen was a wonderful gentleman, visiting with us, and soon fell asleep. We took him to the hotel that George Steinbrenner was staying at, and Don invited us in, but we were behind in our schedule, thanked him, and headed toward the rest of our vacation. MB: Did you meet any more “modern day” players? AA: We met Mo Vaughn, actually. Karen struck up a conversation with him and thought he was humble and kind. He was like a gentle giant. There was also a breakfast for the players and we were invited to that, too. Mike Piazza was there, and of course I was a Los Angeles Dodger fan, as well, so I was impressed with him. We spoke briefly at the breakfast, and he was respectful and we exchanged pleasantries. Alex Rodriguez was selected for best hitter award, but he did not show. It was kind of embarrassing to me, as I supported the Seattle Mariners being from the Pacific Northwest. Roy Firestone was the entertainment for the evening banquet. He could imitate many vocalists, and he performed Ted Williams’ favorite, Johnny Mathis. MB: Were you invited back after that? AA: We attended year after year until 2002, the year of Ted’s passing. 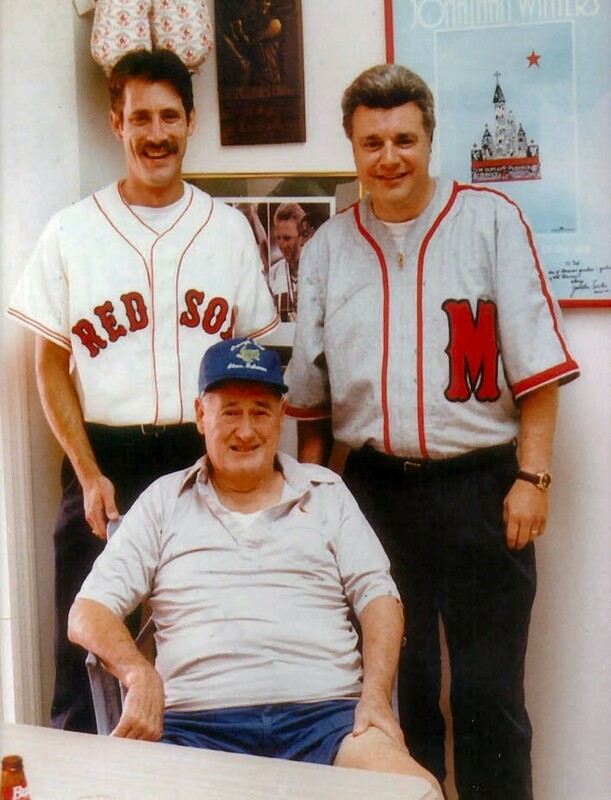 MB: Did meeting Ted Williams pretty much take care of your bucket list? AA: Actually, the two players I wanted to meet were Ted Williams, my favorite hitter, and Bob Feller, my favorite pitcher. 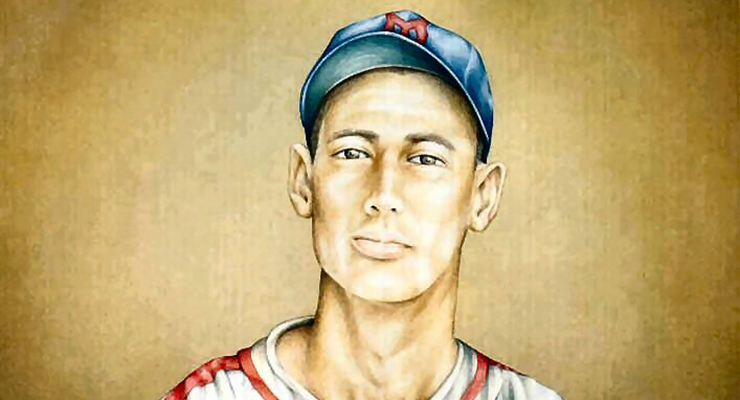 MB: Too bad Bob Feller has already passed. AA: Oh, I met him, too. MB: Of course you did. Wow! What an incredible story. Your father-in-law is about my age and he sounds like quite a guy. Baseball may not be the most popular sport in America anymore, but I am always amazed at the impact that its history has on people. No one cares about some football player from the 40s. I always thought, when people talked about Ted Williams being like John Wayne, that it should have been the other way around; John Wayne should have been the person Ted Williams was. Your interview of me, brought me back to August 29, 1996 and the wonderful memories did put a smile on my face. Thank you for having me relive this experience. Andy, what a Wonderful & Exciting Moment that must have been. Thoroughly enjoyed this story. You are really something with your tenacity to get all of that accomplished. Thanks so much for tuning me in to that little piece of history!! Thank you for leaving your wonderful comments here. Wasn’t aware of the TW museum. Thought there was a discussion on BTF about that when the Ichiro museum was mentioned, remember Feller, Shoeless Joe and maybe a few others mentioned. A truly great story. We can only hope that Trout or someone similarly gallant and classy can stay great and humble long enough to be the next Kid. We may never see another, but I’m gonna keep hoping. I don’t think Williams’ biggest admirers would call him “humble.” He had a lot of great qualities, but humbleness was not one of them, at least during his playing days. Williams was a tremendously controversial figure in his playing days, right up to his last at-bat when he homered and still refused to tip his cap.